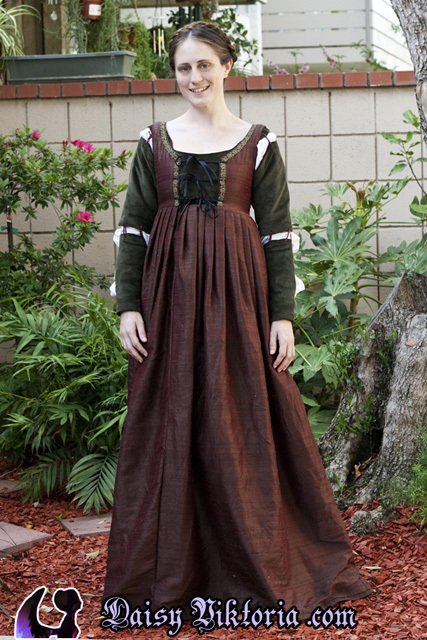 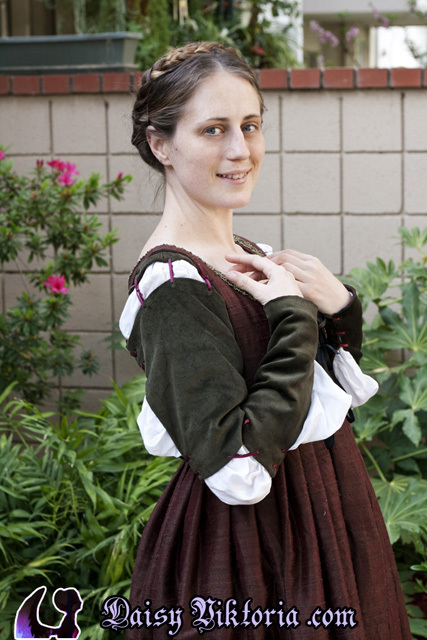 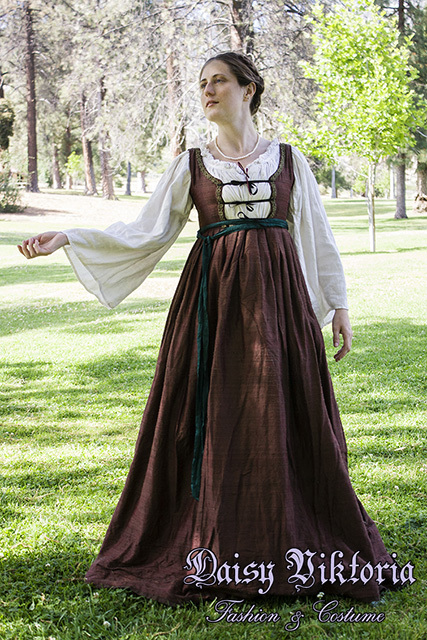 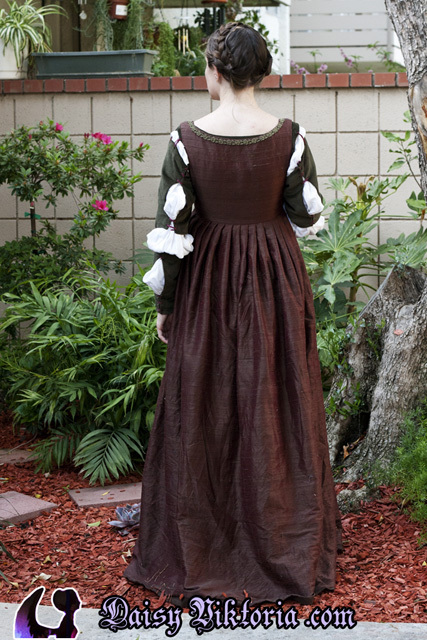 This is an Italian Renaissance gown based on fashion from the 1490s. 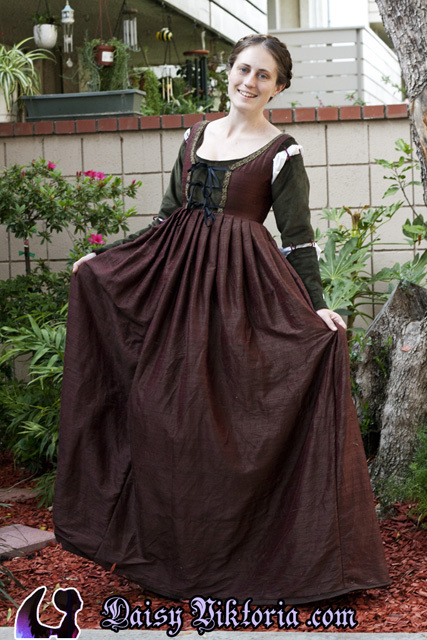 The over gown is made of brownish maroon dupioni silk and lined in hemp. 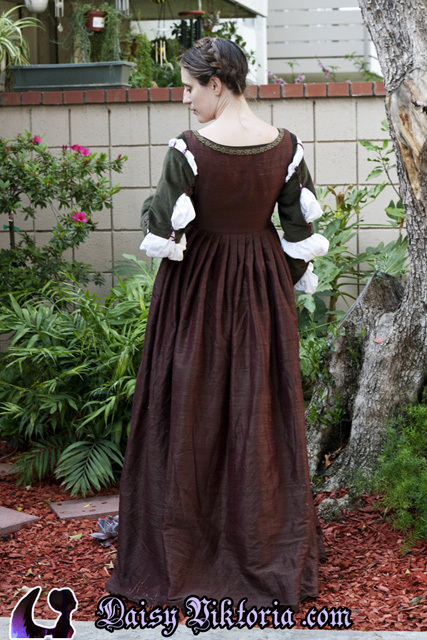 The front is accented with trim and lacing ribbons. 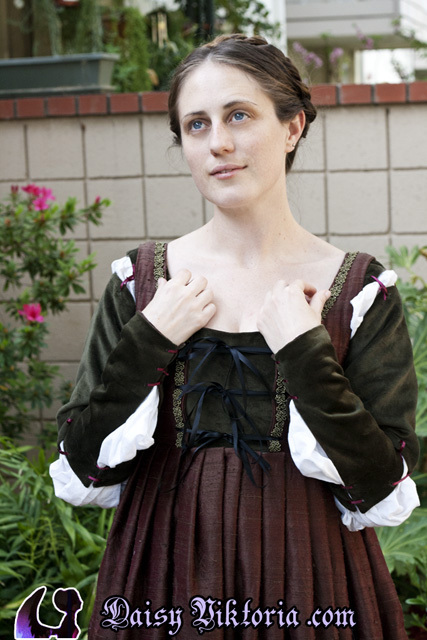 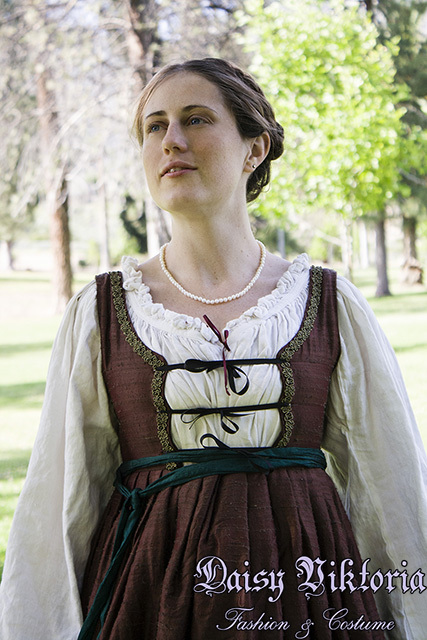 The under layer is cotton velvet, and the dress is worn over a camicia, or chemise.